The Blavatnik Family Foundation today announced a $20 million gift to Tel Aviv University to launch the Blavatnik Initiative, a multi-year program committed to the advancement of interdisciplinary scientific research, discovery, and development at TAU. The Initiative will also provide support to TAU’s Department of Film and Television, and fund a new recruitment program focused on attracting world-class researchers and faculty to the University. 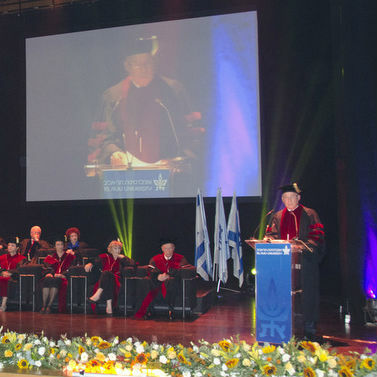 “Tel Aviv University has a distinguished tradition of excellence and achievement, and I am delighted to help support the next generation of scientific researchers and innovators in Israel,” said Len Blavatnik, American industrialist and philanthropist. To be the first of its kind at an Israeli university, the Blavatnik Center for Drug Discovery will equip, man and operate a state-of-the-art core laboratory that will serve dozens of drug research groups across the TAU campus, as well as from other Israeli research institutions, at a critical stage in their research. The Blavatnik Center is anticipated to deepen biomedical scientific knowledge, enhance Israeli industrial and economic progress, and lead to the development of novel drugs that will alleviate suffering and save lives. 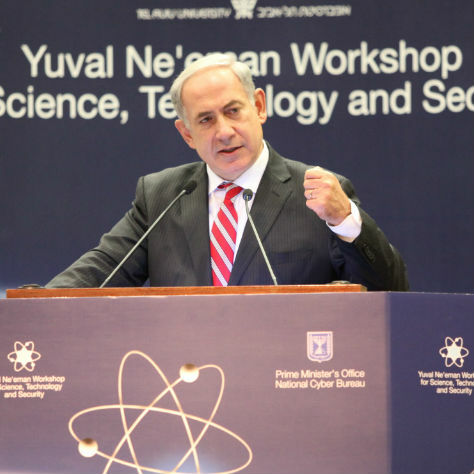 The Blavatnik Computer Science Research Fund will support and promote advanced computer science research at the Blavatnik School of Computer Science, particularly in high-impact areas that could ultimately contribute to Israel’s economic prosperity. 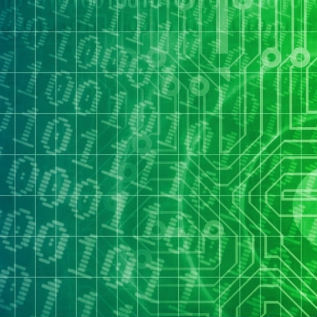 The Fund will award competitive grants to TAU faculty members in advanced computational sciences and related fields. The Blavatnik Interdisciplinary Cyber Research Center will draw on TAU’s rich pool of cyber scholars and experts to support research and produce position papers, and will prepare a new generation of innovators and professionals through the awarding of 16-20 scholarships to Blavatnik Scholars at the undergraduate, graduate and post-doctoral levels. The Blavatnik Student Film Production Fund will provide vital financial support to upcoming Israeli filmmakers as they create high quality, thought-provoking productions. Undergraduate and graduate students will be awarded grants of between $2,000 and $5,000 per film, enabling them to transform their ideas from the story board to cinematic work. The fund will help reinforce Israel’s unique standing in the global film community. The Blavatnik President’s Discretionary Fund will allow the TAU President to make competitive offers to talented researchers and new faculty, particularly sought-after academic stars who are courted by other universities. The Fund will lay emphasis on recruiting talented young researchers in priority areas, including nanoscience, environmental studies, neuroscience and cyber, and in emerging fields, including computational linguistics, information security, and optical imaging. Pictured: Len Blavatnik receiving his honorary doctorate from TAU President Joseph Klafter and TAU Rector Aron Shai in 2013. The Blavatnik Family Foundation is an active supporter of leading educational, scientific, cultural, and charitable institutions throughout the world. In 2007, the Blavatnik Family Foundation established the Blavatnik Awards for Young Scientists, awarded through the New York Academy of Sciences, to recognize innovative and impactful accomplishments in the life sciences, physical sciences, mathematics, and engineering. Due to the enormous success of the initial regional awards program, the Blavatnik National Awards for Young Scientists were established in 2014 to identify outstanding faculty-rank scientists throughout the United States. The Blavatnik Family Foundation has also supported the Broad Institute at Harvard and MIT and provided seed funding at Harvard for highly promising, early-stage research in the life sciences. In 2010, The Blavatnik Family Foundation made a gift to establish the Blavatnik School of Government at the University of Oxford, to train outstanding graduates from across the world in the skills and responsibilities of government.